We're well aware of kombucha's healthful properties—namely its ability to aid digestion and relieve bloating—but its benefits go well beyond the stomach. 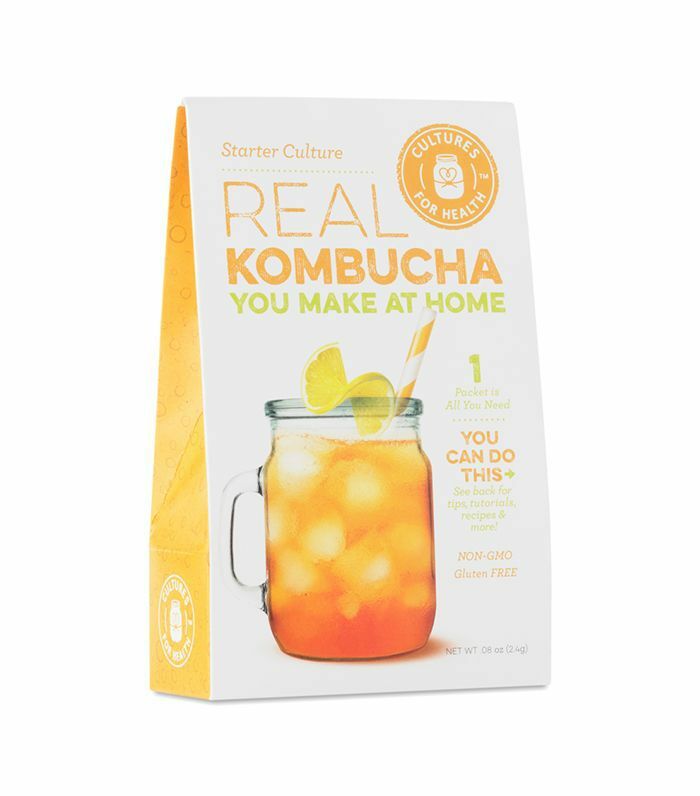 The probiotic-packed drink "is loaded with antioxidants that aid in the decline of cellular destruction and it contains acetic acid which helps to fight off bacteria like candida yeast," explains Lauren Manzo, an adult primary care geriatric nurse practitioner who brews her own kombucha at home. She says kombucha could even aid in heart disease—though more research is needed on the subject—and could help diabetics to lower glucose levels, especially if they replace soda with kombucha. Because incorporating kombucha into your daily diet can come with a steep price tag if you drink the store-bought variety, we had Manzo give her tried-and-true pointers on how to make kombucha at home. For starters, you must have the right equipment. "I recommend glass containers only," says Manzo. "I use gallon-size glass jars from World Market," but she says that mason jars are fine too. Next, she recommends a measuring cup for sugar, a pot to boil the tea, a measuring glass, and glass jars to brew the SCOBY (an acronym for "symbiotic culture of bacteria and yeast," says Manzo, or essentially the source of the probiotic properties of your homemade kombucha). "Sterilization and cleanliness are key," notes Manzo. "I boil water and pour it in all utensils for kombucha brewing to sterilize and let it cool to room temp." Cleanliness also matters for cleanup and storage between uses. 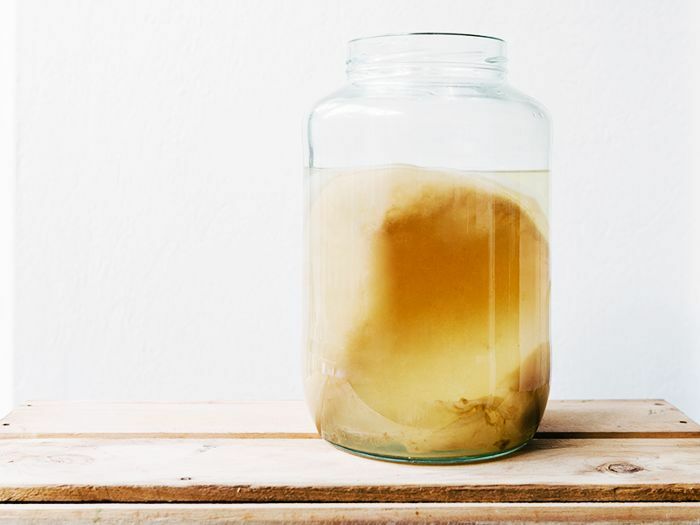 "If you don't use the SCOBY for a while, it is recommended to keep it in some starter tea at room temperature," she advises. "I cover with a coffee filter and rubber band." Besides saving money by avoiding added sugars, brewing your own kombucha at home allows you to experiment with new flavors and varieties. Manzo says she adds extra ingredients to her kombucha for flavor but warns to "never add flavors to the glass that contains the SCOBY." Instead, she sometimes does a second ferment by pouring kombucha into separate smaller glass jars and adding some blueberries or ginger for extra flavor. Keep scrolling for a step-by-step guide for how to make kombucha at home. 1. Boil water and then steep the tea bags for about five to 10 minutes, depending on how strong you want the brew to be. Then add sugar. 2. In a separate container, add the SCOBY to the starter liquid. You can use equal parts distilled white vinegar as a substitute if you don't yet have a starter, or even plain kombucha. Manzo recommends GT Enlightened Organic Raw Kombucha Original. 3. Once the tea is room-temperature, pour it into the container with the SCOBY and starter liquid. Manzo underscores that it is very important to let the tea cool to room temperature before adding it in with the SCOBY and starter liquid, as high temperatures will kill the SCOBY. 4. Cover the jar with a tight-weave towel or coffee filter, and secure with a rubber band. 5. 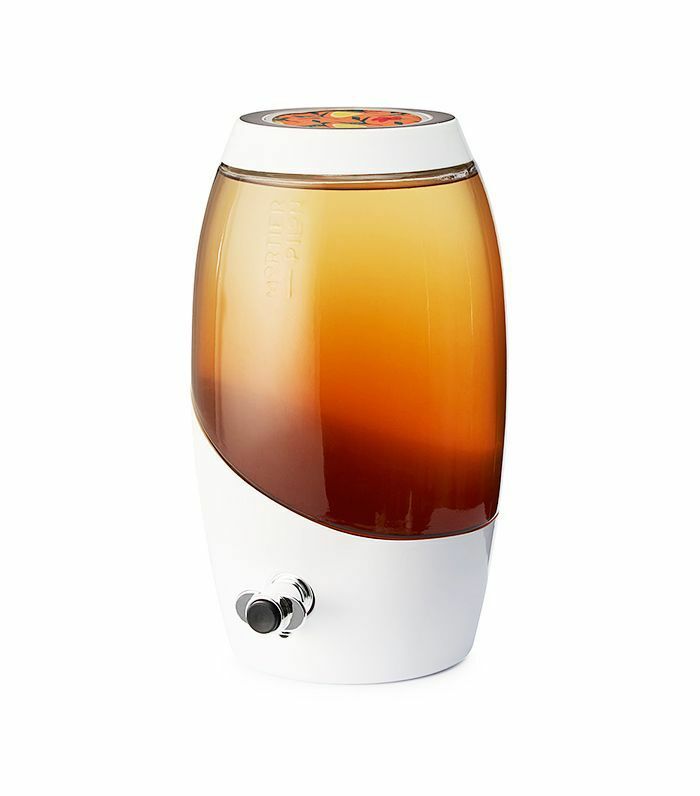 Let the mixture sit undisturbed out of direct sunlight at 68° to 85° for seven to 30 days, or to taste. Manzo recommends tasting it after day seven but ideally letting it sit for two weeks. She notes that winter months will require longer brew times. 7. Pour kombucha off the top of the jar, retaining the SCOBY and liquid from the bottom of the jar to use as starter tea for the next batch. 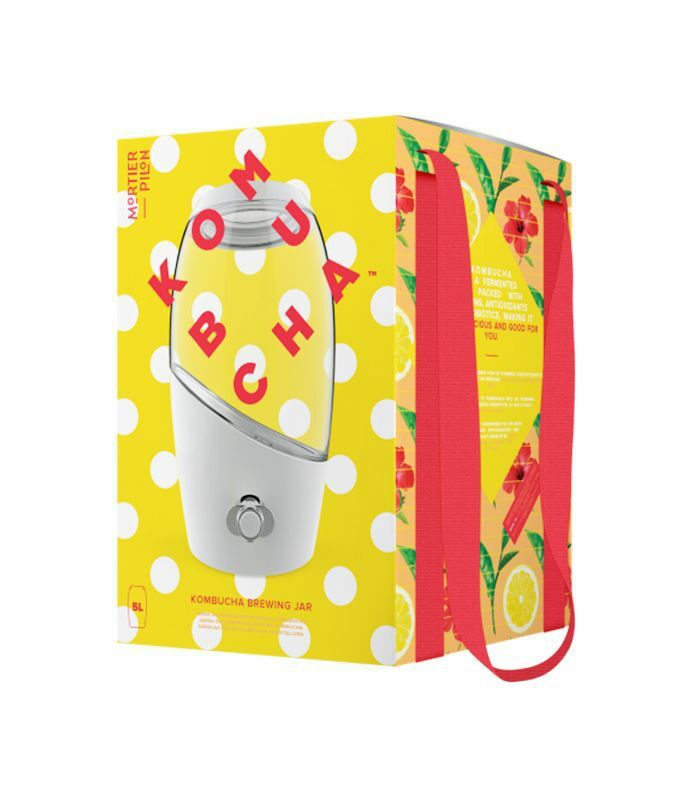 Love kombucha? Check out five other foods for better digestion (and a flatter belly).